SOPI Caliente Coral is a bright orange red tangerine colour. This colour is SENSATIONAL!!! It’s on fire!!! It is quite a bold colour to wear on the finger nails but it is so worth it! I got this in a mini set from SOPI Havana Nights 2010 Collection (if you guys are starting to see a trend you are right!- 2010 was the year my nail polish obsession began, hence I bought a lot that year lol!!) and it had been a lonnnnggg time since I have worn this one. For a mini bottle, it packed quite the punch! While I am NOT a fan of the small brush I can over look that just to get the colour pay off of this polish – holy mama it is beautiful! Most of my peers, family and friends know I am a huge nail polish addict – they are use to seeing all sorts of colours on my nails, but this one now has a cult following amongst them lol. Everyone noticed it and most women wanted to know where to get it! lol. I’m not sure if Sephora still carries this specific polish but they do have similar ones and OPI has released a new orange red in their Spring collection so never fear you can still get a similar shade. It’s a gorgeous polish and can work on the toes and finger nails – I honestly believe it is a must have. If you are not a fan of ‘orange’ polishes because lets face it, not everyone is – the red in this polish will be a happy alternative. Seeing as this year’s official colour is tangerine you can not go wrong with a colour like this – it’s fun, summery and fashionable. The application was decent, opaque on two coats but the brush is a disappointment (because it’s too short & small) I can see ladies with larger nail beds having a problem with application based on the brush size. However removal was a CHARM! It did not stain my nails at all – most bright colours tend to stain my nails for some reason. I say, give this one a try, I am really glad I did!!! p.s would have scored higher if it were in a larger size bottle with a better brush, but the colour is gorgeous! 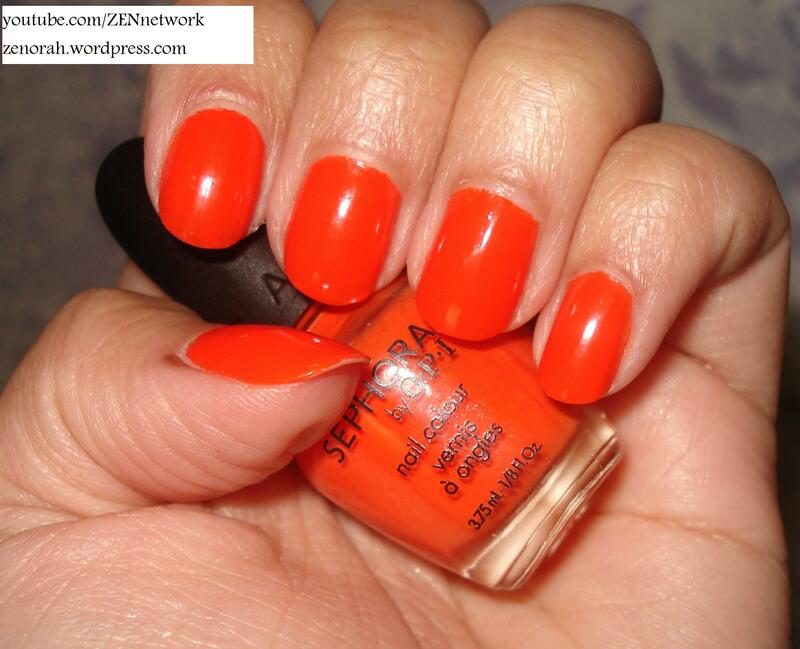 Do you own SOPI Caliente Coral? What are your thoughts on this nail polish? Spring 2012 Nail Polish Picks!! !